The fact one has a surplus and gives some of it to another does not make one a benefactor and the other a dependent. The one with the surplus is simply a steward of God and is merely discharging the work of his stewardship. While all of the principles can be acknowledged, in this Kwanzaa service we lift the principle of Ujamaa [Oo-jah-mah]—Cooperative Economics—traditionally celebrated on the fourth day of Kwanzaa. Acts 2:44-46 addresses how the early Christian community survived. They were of one mind and would sell their possessions to take care of members of the community who had needs. They also spent time together, ate together, and were happy and generous. We focus the attention on our recognition that every good thing comes from the Lord; and we have a responsibility to God to return to God what is his, and a responsibility to each other to use the bounties and blessings from God for the good of and to build up others. Incorporate a period of testimonies or “Ujamaa spotlight” in the service that allows others to speak to the principle of Ujamaa in their lives. (This can also be done via video, etc.) Another variation on this idea would be to have individuals share testimonies or spotlights on each of the principles of Kwanzaa. Highlight your church-based businesses (i.e., assisted-living home, book/music store, cooperative, etc.) and describe how they serve the community. Use the colors of Kwanzaa—black, red, and green—throughout the décor for the church. In this Kwanzaa service, the color red represents the struggle for self-determination and freedom by people of color. Black is the people, the earth, the source of life, representing hope, creativity, and faith and denoting messages and the opening and closing of doors. Green represents the earth that sustains our lives and provides hope, inspiration, employment, and the fruits of the harvest. Include traditional African items (i.e., African carved baskets, cloth patterns, art objects, harvest symbols, etc.) as part of the decorations. Select a variety of musical artists, styles, and instruments. Kwanzaa music was originally composed by African artists. Start with traditional African music, but also pick some modern musicians, children’s groups, and instrumental (drumming) songs. Look for music created exclusively using traditional instruments, such as slit gongs, musical bows, and rattles. Use Sabbath and Sunday School times, Children’s Church, etc. to creatively introduce the principles of Kwanzaa with children and youth through use of storytelling, puppetry, drama, art, etc. Gifts for Kwanzaa are given mainly to children, but must always include a book and a heritage symbol. The book is to emphasize the African value and tradition of learning stressed since ancient Egypt, and the heritage symbol is to reaffirm and reinforce the African commitment to tradition and history. For more information on Kwanzaa traditions, visit the official Kwanzaa website at http://www.officialkwanzaawebsite.org/index.shtml. We have been called together in the presence of the Lord. We are called to Umoja! Habari Gani? People: God calls us to dwell together in UNITY and to be on one accord. We are one in the Spirit. That’s good news! Leader: We are called to Kujichagulia! Habari Gani? DETERMINATION, our wills submitted to his will, his will to be done in our lives. That’s good news! Leader: We are called to Ujima! Habari Gani? to love and to care for each other and ourselves. He watches over us all. Leader: We are called to Ujamaa! Habari Gani? with bonus and blessing. That’s good news! Leader: We are called to Nia! Habari Gani? others to Christ Jesus; for he is the Way, the Truth, and the Life. That’s good news! Leader: We are called to Kuumba! Habari Gani? are possible. Old men will dream dreams; young men will see visions. That’s good news! Leader: We are called to Imani! Habari Gani? done to us. Because of our expressions, the world may believe in the promises of his Word. That’s good news! Leader: We are called together today in the presence of our God. Habari Gani? worship and service to God, so that all men will know God through his Word, and through our God-directed unity, determination, collective responsibility, economic resourcefulness, purpose, creativity, and faith. That’s the good news! (e) God Is Movin. By Sam Butler, Jr.
and on the principles of Kwanzaa. And like us, on the Sabbath Day, Jesus went into the synagogue, as was his custom. And as he stood up to read, the scroll of the prophet Isaiah was handed to him. it will come true for us here and in our communities. (a) Develop a directory of businesses and services offered by members of your congregation, and hold a community business fair to introduce them to the congregation and the community. Fillmore, Charles. Prosperity. Kansas City, MO: Unity Books, 1995, pp 152-153. Riley, Dorothy Winbush. The Complete Kwanzaa. New York, NY: HarperCollins Publishers, 1995. p. 24. Women of the Calabash. The Kwanzaa Album. New York, NY: Bermuda Reef Records, 1998. Williams, Zak and 1Akord. The Declaration “Live from Philly” Philadelphia, PA: 1/A Musik Group, 2006. Walker, Dexter and Zion Movement. Move. Chicago, IL: Found Sound Music Group, 2007. Williams, Malcolm and Great Faith. In Your Glory. Evergreen Park, IL: Malcolm James Music, 2009. The Sons of Harmony. Working on a Building. Baltimore, MD: The Sons of Harmony, 2008. Hendricks, Barbara and The Moses Hogan Singers. Spirituals, Volume 2. New York, NY: EMI Records, 2005. Payton, Rickey. Everything’s Gonna Be Alright. Nashville, TN: IMI, 2008. Winans, Marvin and The Perfected Praise Choir. Introducing Perfected Praise. Brentwood, TN: Sparrow, 2009. Victory Cathedral Choir. Smokie Norful Presents: Victory Cathedral Choir. New York, NY: EMI Gospel, 2010. Trotter, Larry D. and The Sweet Holy Spirit Combined Choirs. I Still Believe. Indianapolis, IN: Tyscot Records, 2009. Faithful to Believe. New York, NY: Verity, 2009. The Blind Boys of Alabama. Faith Moves Mountains. Virginia Beach, VA: Gregota Music Group, 2010. Campbell, Lamar. New Song New Sound. New York, NY: EMI Gospel, 2007. Camphor, Brandon and OneWay. ReGeneration. Upper Marlboro, MD: Brandon Camphor & OneWay, 2009. Various Artists/Joan Rosario Condrey. CoCo Brother Live Presents Stand 2010. Indianapolis, IN: Tyscot Records, 2010. Nu Tradition. Nu Tradition. Indianapolis, IN: Tyscot, 2008. Kwanzaa for Young People (And Everyone Else!) Gardena, CA: Charphelia, 1999/2000. Smallwood, Frank. Let’s Celebrate Kwanzaa Sing-Along. Newark, NJ: Peter Pan Records, 2005. Haddon, Deitrick & Voices of Unity. Together in Worship. Indianapolis, IN: Tyscot Records, 2007. Ford, Cedric & Heart of Worship. Created 2 Worship. Indianapolis, IN: Tyscot Records, 2009. Various Artists/Kevin Levar. CoCo Brother Live Presents Stand 2010. Indianapolis, IN: Tyscot Records, 2010. The Anointed Pace Sisters. Access Granted. Indianapolis, IN: Tyscot Records, 2009. Mxolisi & The Sankofa Singers. 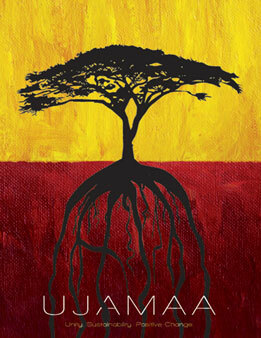 Kwanzaa Yenu Iwe Na Heri: Music for the People of Vision, Faith & Love. Oakland, CA: Mxolisi & The Sankofa Singers, 2008. Playing for Change. Songs Around the World. Beverly Hills, CA: StarCon LLC, 2009. Various Artists/Mbongeni Ngema. Sarafina! The Sound of Freedom: Music from the Motion Picture. New York, NY: Qwest/Wea (Warner Bros. Records), 1992. Brown, Clint. Mercy and Grace. Orlando, FL: Tribe Records, 2005. McDowell, William. As We Worship (Live). New York, NY: Koch Records, 2009. Haddon, Deitrick & The Voices of Unity. Together in Worship. Indianapolis, IN: Tyscot Records, 2007. Everlasting Life. New York, NY: Tommy Boy Gospel, 1998. Ashmont Hill. Your Masterpiece. Mattapan, MA: Axiom Records, 2010. Broken and Blessed. Washington, DC: Carmen Calhoun, 2004. Thigpen, Dathan & Holy Nation. Get Up Vol. 1 Get Exposed to Unadulterated Praise. Jackson, MS: Dominium Entertainment, 2006. Gaither Vocal Band. Together. Alexandria, IN: Spring House Music Group, 2007. Ashmont Hill. Ashmont Hill. Mattapan, MA: Axiom Records, 2008.